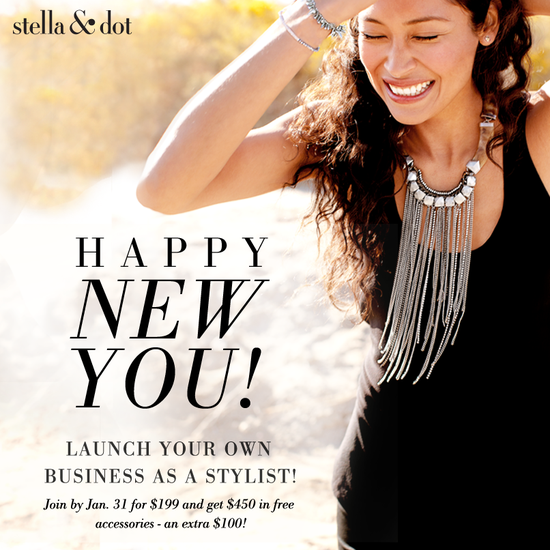 January Means $100 More in Jewelry For New Stylists! It's a new year, and possibly time for a new start! Are you thinking of paying for something specific in 2013, ditching a frustrating corporate career, or simply having something new, flexible and fun to do? 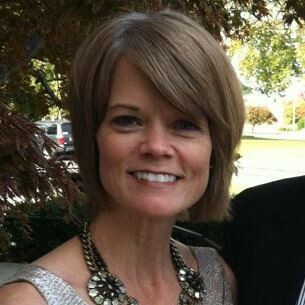 Let’s talk business and passion and flexibility and fabulous rewards. We think life is too short not to have all of that go together. Launch your own social-selling business as a Stella &Dot Stylist and create the success you deserve. Jump in and launch! It’s time for out with the old, in with the bold. There's a reason STella & Dot is one of Inc 500's Fastest Growing Companies! You can earn your first paycheck within a week of your first show. And with $100 in additional jewelry credits to get you started, NOW is the perfect time! Here's more info about the company. Will This Fit Into My Busy Life? fun with new friends? You set your schedule and sales goals and you define success. Have 1-2 Trunk Shows a month or 1-2 each week- it’s up to you. Not Sure? Host A January Trunk Show! 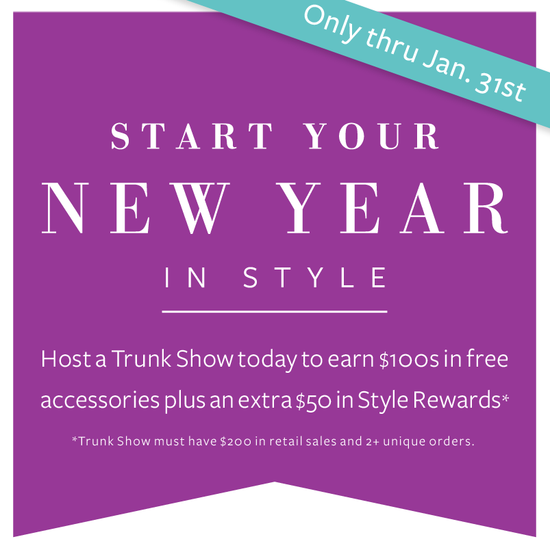 Host your own trunk show in January to see what it's like to be a stylist! You can't lose...the worst thing that can happen is that you'll get free jewelry/accessories...the best is that you may find a way to style a new life for yourself! Come See The New Line In Person! Stop by and see the new line, meet other stylists and find out more about how Stella & Dot can work into YOUR life! NO pressure or sales pitch...just stop in for fun.